Born in 1958, Dominique Corbasson originally worked as a textile designer for home furnishings and children’s clothes before turning her hand to illustration. She was working for Habitat and Galeries Lafayette back in France, and for Miss Rope and Tokyu Primo in Japan, prior to becoming a household name thanks to her drawings of Paris. Employing an expressive and minimalist drawing style, reminiscent of the innocence of Sempé, Corbasson turns a disarming gaze on the life of Paris and its inhabitants, metamorphosing the city into little splashes of expressive colour. Dominique Corbasson recreates reality through a series of fleeting sensations. Her muse is the city – her own City of Light, of course, but also Tokyo and San Francisco, which she paints with a prodigious attention to light and its reflections, inspired less by the monuments and the architecture than by the moment-to-moment life of the city parks and squares … elegant silhouettes which she captures in a handful of suggestive strokes of colour that seem barely there. Life teems under Corbasson’s brush, drowned in the vast urban swirl. 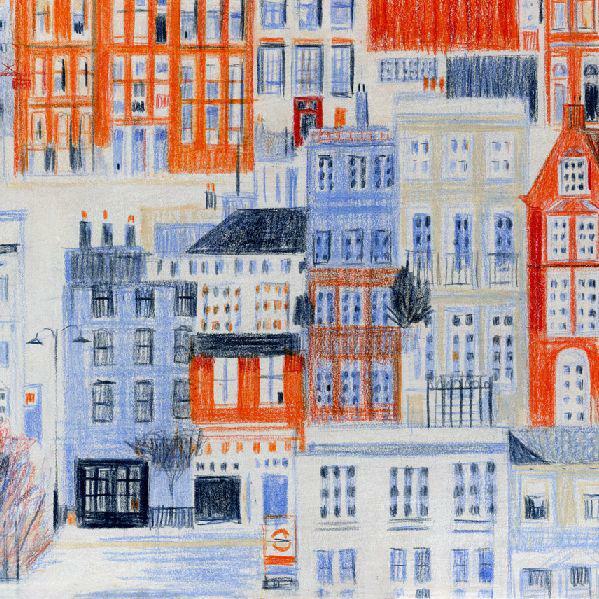 Dominique Corbasson’s illustrations are poems celebrating the vitality of the city, oxygenating the life of its inhabitants with light watercolour touches of blue and green. There are no grey monochromes in her work and even her use of black and white is joyful. Her illustrations regularly appear in Figaro Madame, Cosmopolitan, Psychologies, Bayard Presse and Maison Magazine, among others, and advertisers and fashion houses, from Chanel, Caspari and Le Crillon to the Huîtres Gillardeau, are all falling over themselves to take advantage of her talents. Corbasson exhibits her work in Geneva and Tokyo, illustrates childrens' books and novels like Michel Amelin’s Dur, dur d’être top model! and Jean-Philippe Arrou-Vignod’s Le Camembert volant. She is also the creator of the comic strip featuring those twin female detectives the irresistible Sœurs Corbi.